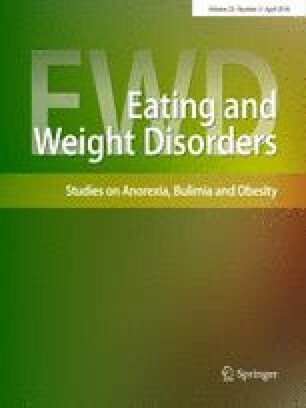 The editorial focuses on the relationships between personality and eating and weight disorders (EWDs), and aims to briefly document the progress in this field, bringing new contributions and future research directions to several queries that remain open in the existing literature. It introduces the Topical Collection “Personality and Eating and Weight Disorders” which will cover contributions aiming at further improving our knowledge about the role of personality (traits and disorders) in the pathogenesis, symptomatic expression, clinical course, persistence and treatment outcome of eating disorders (i.e., anorexia nervosa, bulimia nervosa, and binge-eating disorder), other specified feeding and eating disorders recognized in DSM-5  (i.e., atypical anorexia nervosa, bulimia nervosa and binge-eating disorder of low frequency and/or limited duration, and purging disorder), and obesity. In addition to increasing awareness in the scientific community on the role of personality in EWDs, the topical collection is aimed at providing a wide evidence base for researchers, clinicians, and all readers interested in this topic. The aetiology of EWDs is still not fully understood and extant treatment strategies still need to be improved [2, 3, 4, 5, 6, 7, 8, 9, 10]. In the last 2 decades, many research groups have focused on the role of personality in EWDs, with recent systematic and meta-analytic reviews of the literature highlighting the common comorbidity of personality disorders (PDs) in EWDs and suggesting the impact of personality (traits and disorders) in EWDs clinical course and treatment outcome [11, 12, 13]. To date, it is known that the most frequent specific PD diagnoses in both adults [11, 12, 13, 14] and adolescents [15, 16] with EWDs are the avoidant, obsessive–compulsive, and borderline PDs. In addition, the avoidant and obsessive–compulsive PDs are among the most frequently diagnosed PDs in restricting anorexia nervosa (AN-r), whereas borderline and avoidant PDs are commonly diagnosed in people with binge-eating/purging AN (AN-bp), bulimia nervosa (BN), binge-eating disorder (BED), and obesity [11, 12, 13, 14, 15, 16]. People with EWDs tend to be characterized by elevated perfectionism, sensitivity to social rewards, impulsiveness, and affective instability, and these features appear to discriminate patients from controls [12, 13]. Differences across EWD conditions also seem to exist, with the current evidence revealing that perfectionism and fear of criticism are more recurrent in AN-r, whereas affective instability and emotional dysregulation are more evidenced in AN-bp and BN . Although research on BED (recently recognized as a distinct diagnostic category in the DSM-5) is still limited , some studies suggested that (obese and non-obese) patients with BED endorse comparable levels of affective instability to those with BN [2, 17, 18], and indicated that this variable predicts BED and BN severity [17, 18]. Impulsiveness, however, appears to be a key predictor for overweight and obesity development . In addition, impulsiveness and altered emotional regulation seem to impact clinical symptoms in people with obesity  and severe obesity with food addiction . Overall, AN-r is more frequent associated with Cluster C PDs (i.e., avoidant, dependent, and obsessive–compulsive) or their characteristic traits and the EWD conditions characterized by binge-eating and/or purging behaviours are more frequently associated Cluster B PDs (i.e., antisocial, borderline, histrionic, and narcissistic) or their characteristic traits [11, 12, 13, 15]. Interesting findings have been published regarding the role of personality disturbances in the aetiology and symptomatic expression of EWDs, with recent reviews of the literature highlighting that people with any PD have a higher risk of obesity  and that certain personality traits (e.g., perfectionism and impulsiveness) may increase the risk of developing eating disorders and disordered eating cognition and behaviours . However, prospective studies remain few in EWD area and research elucidating whether personality has causal significance in the onset of specific EWDs is warranted [4, 11, 12, 13]. Several studies have evaluated the notion that personality traits and disorders influence the clinical course and treatment outcome of EWDs . These studies revealed that Cluster B PDs seem to be related to a poorer AN and BN outcome and obsessive–compulsive PD traits are poor prognostic features among people with AN . AN patients with a comorbid PD also show higher rates of inpatient treatment drop out  and altered personality traits may favour resistance and impair improvement in this group . Although some studies suggest that a comorbid PD does not influence treatment result in BN , in other studies, personality seems to be a predictor of recovery in BN and sub-threshold forms of eating disorders . PD comorbidity appears to affect weight loss under conservative treatments and Cluster B PDs seem to have a negative effect on long-term prognosis with regard to binge-eating symptoms . Results on the impact of PD comorbidity on treatment outcome among (obese and non-obese) people with BED remain few and conflicting [12, 13]. Overall, considering that personality evaluation may provide useful elements and information to define more suited treatment strategy [11, 12, 13], further studies are needed to better elucidate the role of personality traits and disorders in the clinical course and outcome of EWDs. Future investigations on this area may benefit from the fruitful and open debate on usefulness and reliability of various constructs and assessment tools in the personality field of research [11, 13]. It is widely accepted that EWDs have a complex pathogenesis involving transactions among sociocultural, psychological, and neurobiological influences [4, 9, 25, 26, 27, 28, 29]. However, these transactions have received limited research attention, although several hypotheses have been advanced in the literature. For instance, Kaye and colleagues  argued that specific neurobiological factors, linked to specific childhood temperament and personality traits (i.e., anxiety, obsessions, and inflexibility), may create a vulnerability to developing AN. According to other scholars, AN patients seem to share familial liability factors, such as a trans-generational tendency for anxiety and specific personality features, which may be linked to fear and anxiety neuro-circuitry alterations and a familial vulnerability for AN . Promising multi-variate aetiological and maintenance models attempting to explain how certain personality traits work with other vulnerability factors to promote or maintain EWDs also provide valuable insights into the multi-factor nature of these clinical conditions . Some models postulate a mediational sequence that links risk/maintenance factors developmentally, whereas others are interactive in nature (i.e., posit a particular confluence of factors in promoting or maintaining EWD pathology). For instance, besides the trans-diagnostic cognitive-behavioural model (for a description, see ), the multi-dimensional model of AN  postulates that biogenetic factors, family characteristics (like low independence), and individual personality factors (such as ineffectiveness and being a “perfect” or “model” child), interact to predict the onset of AN. Another influential model is the cumulative stressor model, which highlights the confluence of perfectionism, low self-esteem, and body dissatisfaction in promoting BN . These multi-variate models, which informed the development of prevention and treatment programmes, received preliminary support  but should be tested with longitudinal designs that allow the demonstration of temporal precedence for each link in these accounts. A recent study showed that social factors (e.g., media pressure) and specific personality traits (e.g., perfectionism) interact to predict disordered eating behaviours . Another study showed that professional models are at a higher risk of developing negative automatic thoughts and dysfunctional assumptions relating to body weight, size, and shape if they endorse high scores on specific personality (e.g., narcissistic) styles . In addition to the direct effect of narcissistic vulnerability (noted by a frail self-image, self-adequacy concerns, hypersensitivity to criticism, and withdrawal when narcissistic needs are not met) on future bulimic behaviours, narcissistic grandiosity (that best captures the representation of narcissistic PD) increases the likelihood of engaging in dieting behaviours, which in turn increases the likelihood of engaging in bulimic behaviours . Certain personality traits, such as affective liability, are related to impulsive behaviours  and interact with elevated compulsivity to predict extreme exercise behaviours . In both clinical and non-clinical samples [38, 39], perfectionism was found to interact with body dissatisfaction (i.e., an established risk and maintenance factor of EWDs [4, 40]) and insecure attachment to predict higher levels of dieting, binge-eating, and compensatory behaviours. Elevated serotonin reuptake in a clinical sample was related to higher perfectionism levels and lower rates of childhood sexual abuse, whereas reduced serotonin reuptake was related to higher rates of childhood sexual abuse and borderline PD . These findings, as well as the aforementioned multi-variate aetiological and maintenance models, suggest that, although it is fruitful to consider specific personality traits and disorders alone [42, 43, 44, 45, 46, 47, 48, 49, 50, 51], the consideration of interrelations between personality and bio-psychosocial factors is vital for elucidating the complex and multifactorial pathogenesis of EWDs. The current research indicates that PDs are highly comorbid in EWDs and suggests that meaningful variance in the development, clinical course, symptomatic profile, and treatment outcome of EWDs could be explained by personality traits and disorders [4, 11, 12, 13, 14, 16, 21]. However, a deeper and careful examination of the links between personality and EWDs is warranted. This would allow us to better understand the onset, severity and persistence of EWDs, incorporate and target specific personality variables in treatment, and develop more effective ways of matching treatment to EWD patients [11, 12, 13, 16]. Among the possible future directions in this field of research, three open questions can be considered as primary. The first is whether specific personality disorders or traits serve as risk factors for EWD onset and clinical presentations. Additional related issues with important theoretical and clinical implications that deserve research attention are the evaluation of: (1) how certain personality traits work with other vulnerability factors (i.e., psychosocial) to promote and/or maintain EWDs and (2) the role of personality in the cross-over between different EWD conditions [4, 11, 13]. Longitudinal research is needed to elucidate these points, which may be crucial in the treatment planning process. In this context, the debate on usefulness and reliability of personality assessment in adolescence [14, 16, 52], the period of life which has the highest rate of onset of EWDs , remains open. Although extant current studies with adolescent samples are few , there is some evidence that the proportion and characteristics of comorbid PDs in adults with EWDs converges with those reported amongst adolescent patients (e.g., [15, 16]) and that late adolescents with a comorbid PD have a more severe ED . Further evidence on the usefulness and reliability of personality assessment in adolescence and/or efforts towards the development of more adolescent-sensitive assessment tools are needed [16, 52]. In addition, further longitudinal studies enrolling people with different EWDs from adolescence are needed to explore the role of personality in EWDs development and course [16, 52]. The second open question is whether and how specific neurobiological factors, linked to specific personality and temperament traits, may create vulnerability to developing an EWD and/or affect outcome . Although PDs have been considered as possible confounding factors in neuroimaging investigations (e.g., ), thus far, neuroimaging research has not explored neural bases in EWD samples with and without PDs and/or heightened personality traits. This approach could give new and useful insight in understanding the complex pathophysiology of EWDs and the personality–EWD relationship. The third open question is whether the (already mentioned) rates of PD comorbidity in EWD patients identified based on DSM-IV criteria change when the new DSM-5 criteria  are applied. Research also needs to investigate PD comorbidity as well as the stability and predictive value of personality among people with DSM-5  atypical AN, BN and BED of low frequency and/or limited duration, and purging disorder. In addition, research linking personality and EWDs amongst men and people with different ethnicity/race is needed [33, 54, 55], since the majority of extant studies in this area have focused on female Caucasian samples . We hope that the Topical Collection: (1) will amplify alertness in the scientific community on the role of personality (disorders and traits) in the aetiology, symptomatic expression, clinical course, and outcome of all forms of eating disorders recognized in DSM-5  and obesity; and (2) will give an important hub for scientific discussion based on empirical data investigating different perspectives (from neurobiological to psychometric) of personality disturbances in EWDs. We expect that the topical collection will provide interesting new insights and a wide evidence base for researchers, clinicians, and all readers interested in the area of personality and EWDs.